Did you catch any of the primary results from yesterday's mini-Super Tuesday II? If you are a Hillary or Donald supporter, you were celebrating all evening long. Congratulations to Secretary Clinton and Mr. Trump on their victories in Florida, Illinois, North Carolina, and Ohio (Secretary Clinton). Congratulations to Gov. John Kasich on winning his home state of Ohio. Blogger would like to thank Senator Marco Rubio for his campaign. Senator Rubio formally ended his campaign last night after failing to win his home state of Florida, despite his wins in Minnesota, Washington D.C., and Puerto Rico. If you are a Senator Bernie Sanders supporter, you might be wondering what happened to all the momentum from Michigan? So is Blogger. Sec. Clinton has 1,599 delegates in her corner to Sen. Sanders's 844 delegates. In order for Sec. Clinton to win the nomination outright, she needs another 784 delegates while Sen. Sanders needs another 1,539 delegates. The Sanders campaign are wondering what went wrong. The results from Tuesday seemed to counter his passionate arguments against free trade that served him served well in the industrial Midwestern states. The Sanders campaign spent heavily in Ohio, Illinois, and Missouri trying to win those states. 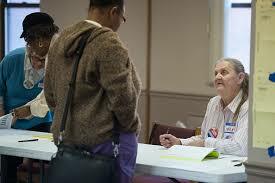 However, by early this morning, the Associated Press called the Illinois primary election for Sec. 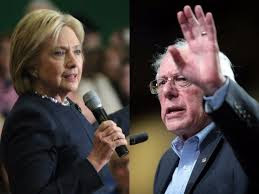 Clinton; making Sen. Sanders's bid increasingly quixotic. At a campaign event in Arizona (they hold a primary next week), Sen. Sanders continued to blast away at the grim state of the American economy. After her upset in Michigan, Sec. Clinton was becoming increasingly frustrated over how her extremely detail policy positions were a tough sell in the Midwestern states. Fortunately. the Clinton campaign was able to retool the message so that it sounded better in the Midwest. Another factor in Sec. 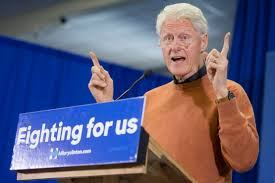 Clinton's victory was her husband, former President Bill Clinton. Pres. Clinton is a charismatic speaker in the same vein as late former President Ronald Reagan. He was dispatched to Akron and Toledo, two predominantly Caucasian, working-class cities. Her victories in Florida and North Carolina were due to minority voters. Where do the Democrats go from here? Blogger believes that the blue team will continue to wage campaigns of substance-focusing on actual issues that affect Americans rather than bluster and personal attacks. Based on the numbers, barring a complete melt down by the Clinton campaign or Sec. Clinton being march out of her headquarters in handcuffs, Blogger predicts Sec. Clinton will be the Democratic nominee in November. Over on the Republic side of the ticket, Donald Trump continues to steam roll through the primary season. Although, Blogger has an eye on Texas Republican Sen. Ted Cruz. The Gentleman from Texas continues to chip away at the Trump hegemony, picking up delegates when and where he can. Although he did not win a single primary last night, Senator Cruz did pick up delegates and is currently tied with Mr. Trump in Missouri with 41 percent of the vote counted so far. Gov. 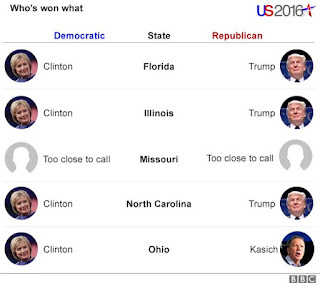 John Kasich's (R-Ohio) win in his home state was a speed bump for the Trump battle wagon. Unlike Senator Marco Rubio (R-Florida), who was soundly beaten in his home state by Mr. Trump and preceded to formally end his campaign. Blogger predicted this development. It was not for lack of trying, the Gentleman from Florida seemed like an earnest enough candidate, nice guy, family man but this is not the season for nice guys. Sen. Rubio's exit appeared to be the curtain on the moderate wing of the Republican party. 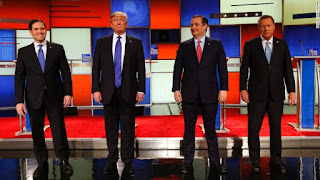 Donald Trump continues to be the main event in the Republican primary elections. His success continues to baffle the Republican party leadership. However, Blogger can understand the attraction Mr. Trump has for people. 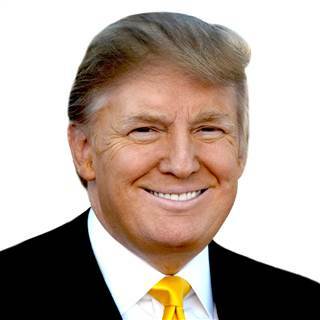 Mr. Trump is viewed as a straight talker, a successful businessman who will be able to negotiate with world leaders. His appeal is not just limited to working-class voters with limited education. Mr. Trump has found an audience with better educated, white collar, middle class voters. However, Mr. Trump's luster has dimmed recently amid reports of violent clashes between supporters and protestors; his ad hoc ad homonym attacks on his rivals and journalists. These disturbing reports have the party leadership, moderates, and mainstream Republicans very troubled over the prospect of Mr. Trump as the standard bearer in the fall. Gov. John Kasich lives to fight another primary. While this may not be the season for nice guys, Gov. Kasich seems to be the exception to this statement. Say what you will about his platform but he may be the best hope to stop Mr. Trump's brand of fiery conservatism. His brand of conservatism is a throwback to Pres. Reagan, which may not continue to resonate over the overheated rhetoric. Yet, Gov. 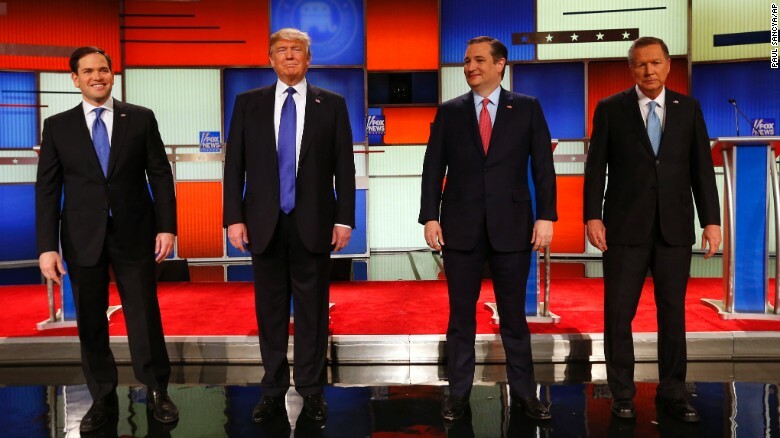 Kasich and Sen. Cruz may be the best chances to slow Donald Trump's progress. Blogger has to wonder how much longer will Gov. 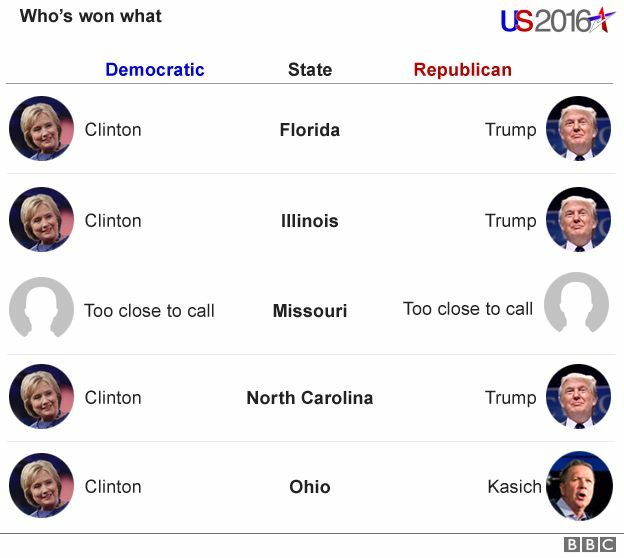 Kasich remain in the race. 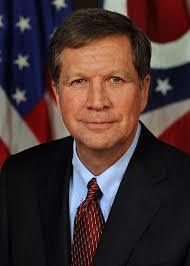 Granted he won his home state and had the governor not won Ohio, he probably would have dropped out. If anything, it is entirely possible that he could be a possible running mate to the eventual nominee-acting as a moderating influence on a firebrand nominee. What does trouble Blogger is the potential of troubling Republican Convention this summer. By troubling, Blogger implies a riotous convention that has not been seen since the 1968 Democratic Convention in Chicago. While the prospect of a nominee emerging after multiple rounds is not so bad, what is troubling is who the nominee will be. This has prompted some Republicans to consider forming a third party to counter the eventual nominee. The problem with this is that it would siphon votes away from both parties and throw the election to the House of Representatives or, even worse, the Supreme Court a la Gore v. Bush (2000). All Blogger can say is hold your breathe and hope for the best.